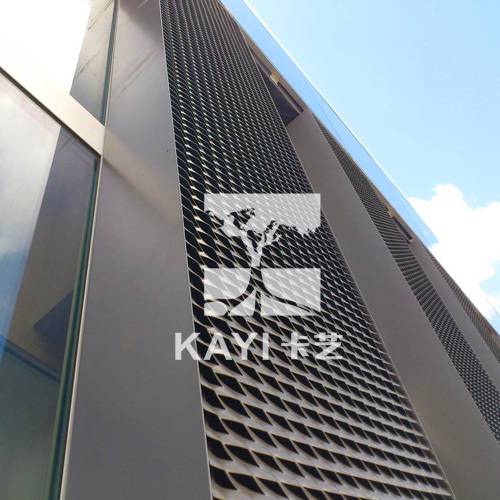 Cladding - Buy Expanded Metal Cladding Product on Hebei KAYI Building Material Technology Co.,Ltd. Expanded metal sheet, after the process of expansion, if necessary, can become several times its original size. In the process of expansion, the metal sheet material is given a full use with less or zero loss of material compared with metal mesh of other processing method. To increase the rigidity and corrosion resistance, the expanded metal can be plastic coated. 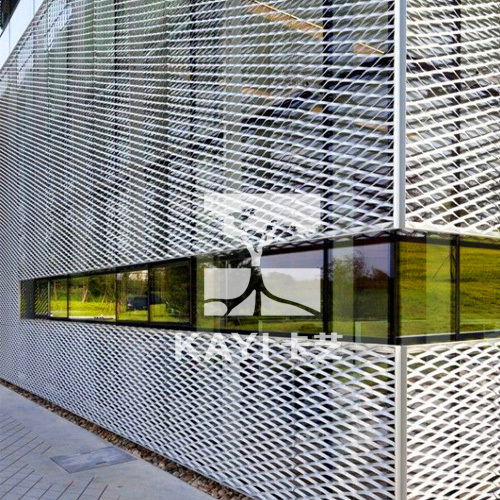 Because of the structure, expanded metal sheets have great uses as well as the sectors of applications. Easy for cutting and bending, expanded metal in fine and medium thickness, can be processed in small workshops or even on the spot of application. 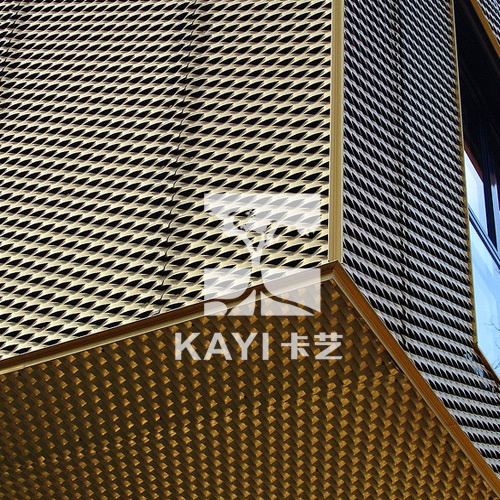 Decorative Patterns: Specially designed expanded metal for use in architectural and decorative applications. These designs can be used to provide privacy and to control light and air while allowing visibility. Sun screens, room dividers, and building facades are only a few of the possible design possibilities. Decorative expanded metal is available in carbon steel, aluminum and other alloys in a wide range of patterns and gauges. Most of these patterns are produced on a special order basis only.